Hi everyone! 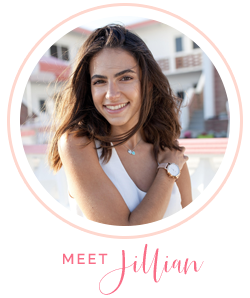 My name is Jillian and I've decided to create "Fabulously Floridian" to share my love of fashion as well as hopefully inspiring others to achieve anything but the ordinary. My style is influenced by my love for the classic American charm of New England, along with my love of the vibrancy of Palm Beach. I have always loved the glamour of the 60's and my favorite style icons, Jackie Kennedy and Audrey Hepburn were thriving then! I try to incorporate the things I love and inspire me day by day and I am thrilled to be starting a blog about it! I'm extremely excited that I'm starting to blog and can't wait to see where this journey will lead! Even though living in South Florida limits us from truly experiencing falls cool climates, I still wore layers to look the part! There is way too much that I've been blessed with to even begin to start listing "what I'm thankful for." But most importantly, I'm thankful for the freedoms and privileges of living in such an amazing country and for such incredible friends and family that've been placed in my life. I hope that everyone reading had a wonderful Thanksgiving like I did and I hope to hear your Thanksgiving stories!